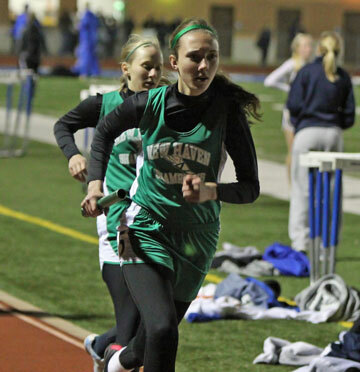 Up until Friday the 4x400 relay team (Taylor Covington, Molly Munsinger, Hannah Pruessner, and Rachel Steinhoff) had ran just once, where all four girls were healthy, which was the first meet of the season. We will be posting live scores from the FRC meet at Owensville throughout the day and a more in-depth look at how New Haven compares to other Class 1 schools, breaking it down by each event. Click here to download a schedule of events and additional information for Monday’s FRC meet at Owensville. Note: Admission will be $3 per person.